It's August! And we're gearing up for Fall-ish designs. We're thinking of the season of giving thanks, food, and Halloween! So sad that Summer is quickly dwindling down, but these new designs are something to look forward to! 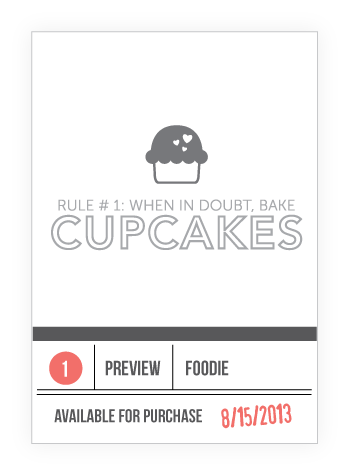 First sneak is our set named Foodie. Lots of great, great food related sentiments in this one, perfect for cards, scrapbooking, and daily documenting! We love that this set will work for all crafters! It's a yummy set for sure! Nyom, nyom! I'm still very madly in love with stripes. We created a basic sentiment stripe set that you can create stripes with. Really fun and as CAS as it gets! With Fall, instead of an all out Thanksgiving themed set, we decided to create one you can use all year round to say thanks in many ways to all your different recipients! Who's hungry for Foodie? Feeling thankful for Many Thanks? 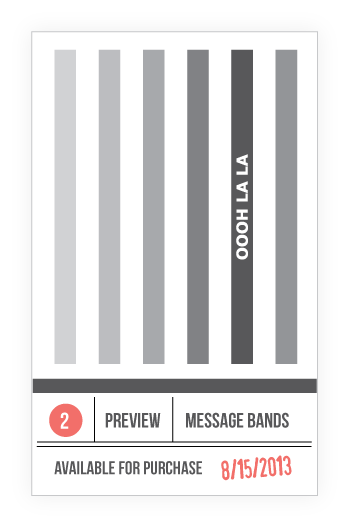 Anyone going ooh la la for Message Bands? Who's wickedly excited for Bootastic? And who will forgive my corny attempt at puns?! Looooooove new peeks! Can't wait for the full reveal !! Ohhhhh that little mummy! I need him! Oh sweetness!!!!! I'm so excited about this release just from the peeks!!! Oh my word!!!!!! Must have them all!!!! Eeek!! That foodie set is awesome, and bootastic....ahhhhhhhhhhh! Love this sneak!! Wow! So excited! Another fabulous release, it looks like! Can't wait to see the full sets on the 15th! Your peeks have captured my interest for sure! Looking forward to the reveal! All these are delightful. Can't wait to see the full sets. Oh! Love these!! Can't wait to see more! Squeal! I am ready! Can't wait! Darling! Cant's wait for the full reveals! Eeek, really excited about these! This might be the first time I'm interested in getting a Halloween stamp set! So cute! So excited for this release! Love all the sneak peeks...can't wait!! I love the little mummy. Way too cute! Thanks for the sneaks of the new sets! They all look fabulous! Kryssi, you make me swoon with delight with this month new sets! They're awesome! Gosh this is tuff. 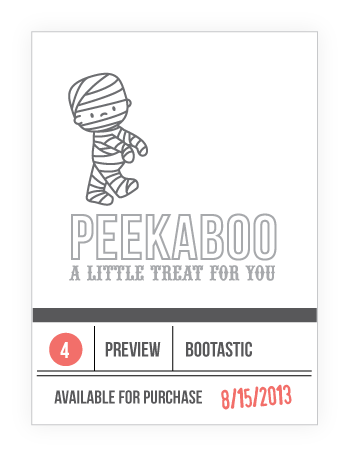 I am influenced by Peekaboo...I love anything Halloween. Of course on Nov. 1st, that will change!!!! Its adorable. 2nd fav however is when in doubt...fits most lifestyles today LOL. Thanks so much.